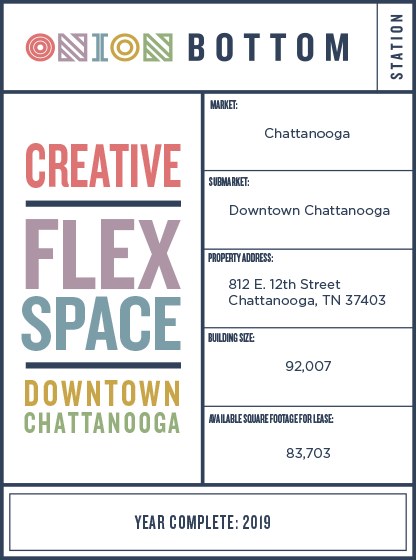 Creative flex space for lease in Onion Bottom Station - an innovative, newly redeveloped warehouse in downtown Chattanooga. 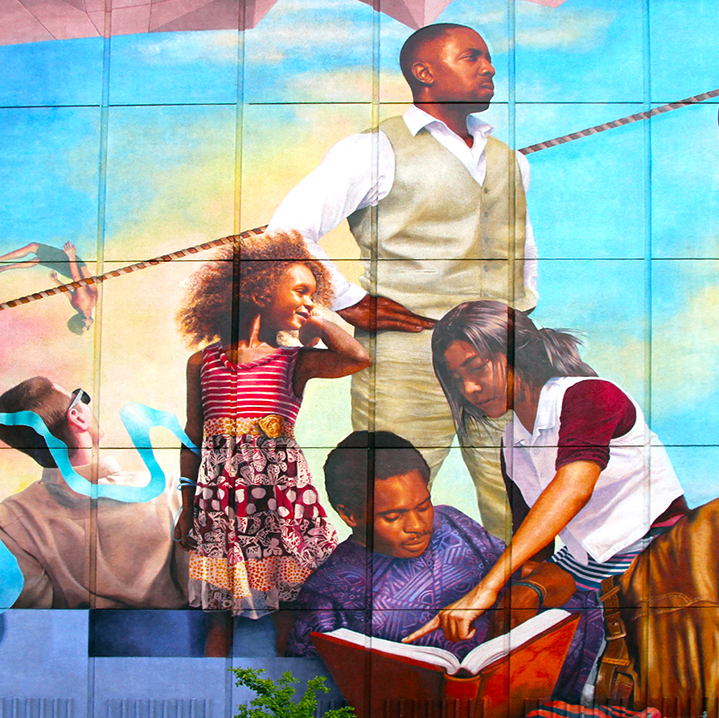 Onion Bottom Station offers affordable, imaginative spaces that simultaneously promote a sense of community while offering tenants individualistic, creative flexibility. 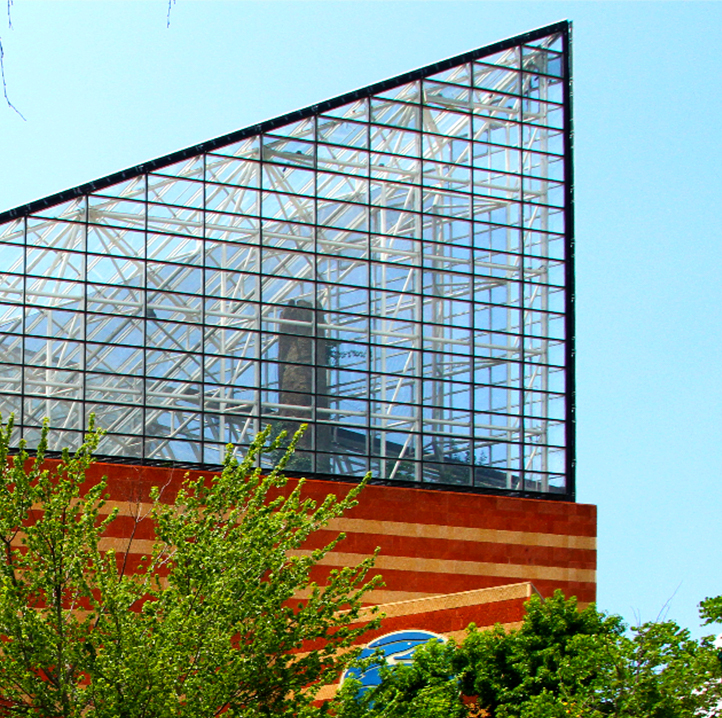 Historically, the landscape of Downtown Chattanooga has been predominantly Industrial. After the Civil War, the city flourished with the arrival of the railroad in the mid-nineteenth century. 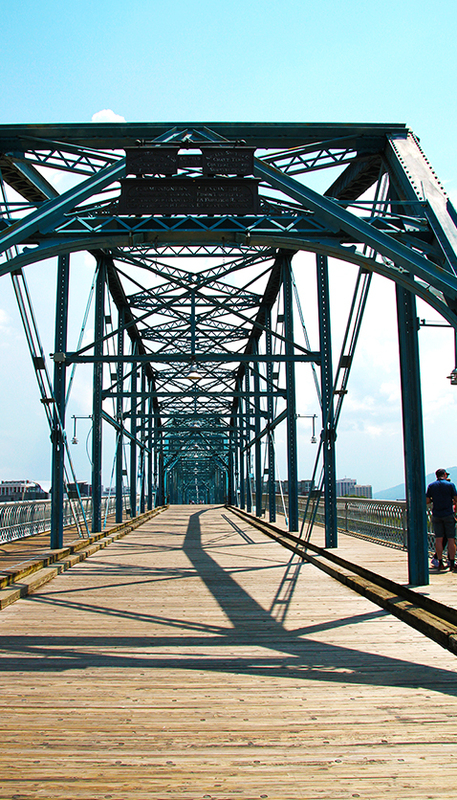 Already ideally situated for commerce along the banks of the Tennessee River, the city became a major hub for transportation and manufacturing.